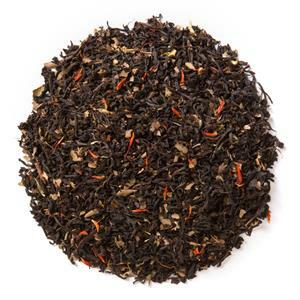 Peach-Apricot Essence (Loose Leaf) combines an Australian lemon myrtle with natural peach flavor, apricot essence and an organic black tea base. 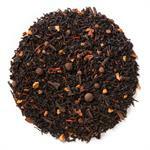 Davidson's Peach-Apricot Essence (Loose Leaf) is a full-bodied black tea brew with nuances of crisp fruit. Davidson's organic black tea is sourced from family tea gardens in the Darjeeling and Assam regions of India. 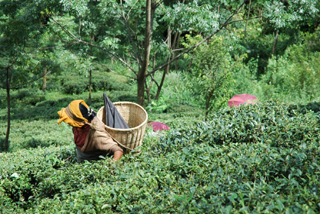 In the image to the left, farmers from the Seeyok Tea Estate weave through rows of camellia sinensis, the tea plant, to pluck prime tea leaves. 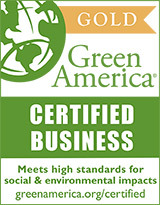 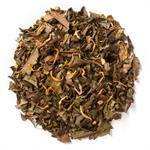 Organic black tea, organic lemon myrtle, natural flavor, organic calendula flowers and organic safflower.